The great Dawoodi Bohra Cook-Off! Six of Mumbai’s most prolific food influencers, and about 60 members, got together at the Dawoodi Bohra Jamaat in Kandivali recently for the first essay of The Great Dawoodi Bohra Cook-off, powered by the Dawoodi Bohra Women for Religious Freedom (DBWRF). The cook-off brought the community, its culture and cuisine under one roof. The contest, which began with a few words of encouragement from chief guest and judge, chef Sanjeev Kapoor, pitted the bloggers against each other in a stunning display of culinary brilliance. 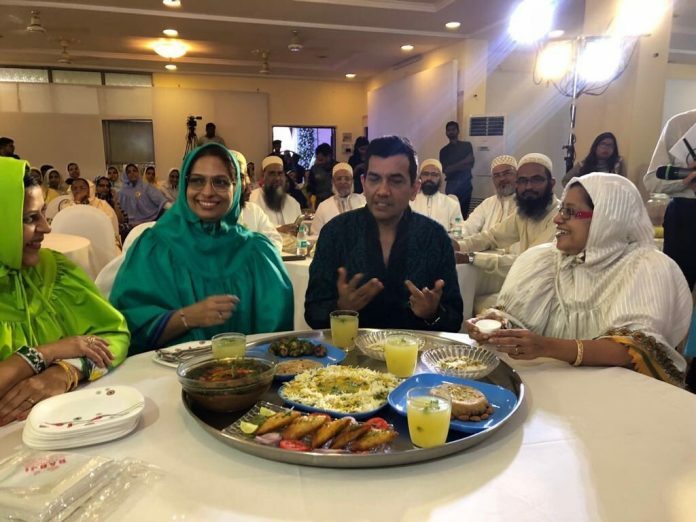 They drew lots to pick a signature Dawoodi Bohra dish which constitutes a thaal and cooked such dishes as Kalamro, Kheema Samosa, Dabba Gosht, Dal Chawal Palidu, Masala Na Bateta and Rotis. The evening continued on a food high as participants at the cook-off, Sanjeev Kapoor and members from the community tucked into a hearty feast around the thaal, highlighting their unique habits and the importance of eating together. The concept of the thaal is as intriguing as Dawoodi Bohra cuisine itself. The style of eating traces its roots back to the very origins of Islam, which believes in equality and is reflected in the way they eat. Members of the community sit together around the thaal and relish their meal, irrespective of their backgrounds. Unlike the vast majority of cultures, a traditional Bohra meal begins with dessert and ends with the main course. Bohra cuisine is an amalgamation of Gujarati, Arabic, Yemeni, and Persian cuisines, and is, in many ways, a physical testament to the history of the Bohra people. Previous articleWho’s a Cube Boy then!